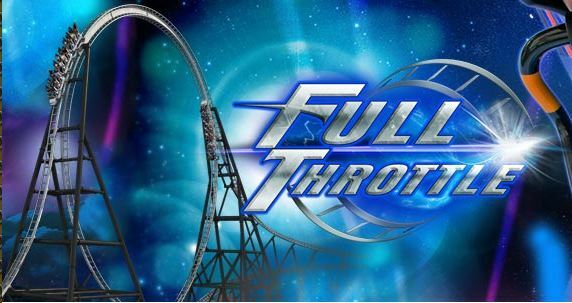 Discuss the construction of Six Flags Magic Mountains 2013 coaster "Full Throttle". This does look cool. Though it was rumoured, I really didn't expect this to be Premier. It should be fun to watch. I have never really been a fan of Premier Rides, since they started copying other companies designs. How have they? Almost every company has a launch so it couldn't be that. ^I think its more from how they built Superman (Six Flags Discovery Kingdom) which is similar to Maurer Sky Loops. Anyways, I'll be hopefully heading up to SFMM this weekend and I'll take some photos for Coaster Zone. Fantastic XYZ, it would be nice to see how the construction has been coming along. And yes I was referring to their copy of models (Superman being like a Skylopp) and the XCar train designs. There is that aspect to it but each company would have their own design of train. There are differences between the two trains. Anyway, it's not as obvious as the china companies. My trip to SFMM has been postponed one week to the weekend of Dec. 15/16. Just to let you all know to not expect construction photos from me on Monday. Well when you have them, please share them with us XYZ. Vertical construction has finally begun on Full Throttle.